Genesis provides Canon MFDs, photocopiers, printers, copiers, scanners and software solutions to businesses in London and the south of England. 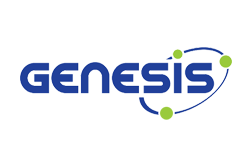 Genesis was looking for a telemarketing agency to work their database and generate appointments and sales leads for their sales team. In addition to this, the data base was rapidly becoming out of date and needed to be cleansed and verified. They were looking to expand their organisation and needed extra hands to call the data and allow the sales team to sell. They needed to move quickly and efficiently to maximise the results. VSL provided Genesis with a dedicated caller on a two day per week basis to call through the data and record valuable information regarding the equipment these organisations had in place, what makes and models they were using and when they were looking to replace them. We worked closely with the sales team, understanding the long term plan to move all the data into a CRM ensuring that this data would be clean and current, allowing then to utilise this effectively for supporting marketing activities. VSL finally completed the campaign and provided Genesis with an average of 2 appointments per day and a fully workable and up to data database to upload into SalesForce.com. They have been able to feed leads to their now expanding sales team and grow the organisation.